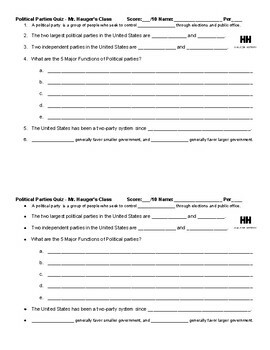 This is a 6-question, 10-point quiz about the basics of American Government and the Political Parties. 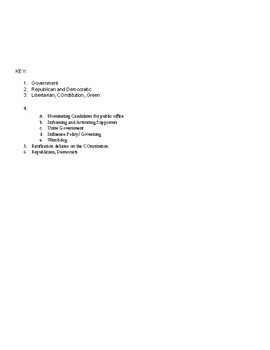 There is a basic fill-in definition question, generalized quiz about the preferred size of government of the two parties, identification of independent parties, and the five major functions of political parties. Prints two per page. Answer key is included. I use this as an exit ticket assessment for an introductory presentation.